It’s not 4G, it’s still 3G. The current generation of 4G (LTE) based superfast Mobile Broadband technology, which is presently being rolled out by operators in the United Kingdom, is technically still a 3G service because its internet speeds are too slow for it to be considered true 4G by the International Telecommunication Union (ITU). According to the ITU, specifically its radio communication division (ITU-R), neither first generation WiMAX nor LTE (Long Term Evolution) technology qualify as a true 4th Generation (4G) service and thus UK mobile operators should in theory continue referring to them as 3G (i.e. their performance falls within the older IMT-2000 standard). 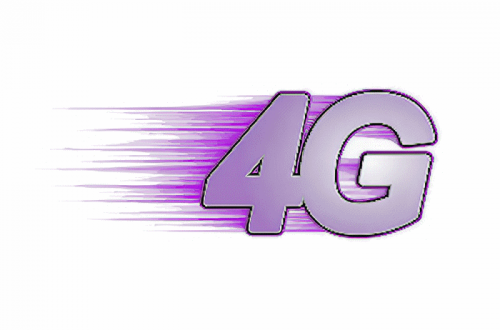 In order to qualify as a true 4G service, cellular mobile operators would need to support target peak data speeds of up to approximately 100Mbps (Megabits per second) in a high mobility multi-user environment (e.g. mobile phones) and up to 1000Mbps (1Gbps) in a low mobility one (e.g. local wireless access). As a result the ITU stated in 2010 that only the future LTE-Advanced (LTE-A) and WiMAX2 (802.16m / WirelessMAN-Advanced) standards could actually qualify to be called 4G under the latest IMT-Advanced specification. As usual the marketing departments at various mobile operators around the UK, and for that matter the world, took absolutely no notice of the IMT-Advanced specification. Indeed some, such as Three UK, have at times described even older 3G technologies as both 4G and, perhaps more controversially, “ultrafast” (here). Little wonder that consumers get confused. In fairness the ITU does admit that its IMT-Advanced data rates are merely targets for research and investigation that “should not be taken as the definitive requirements for systems beyond IMT-2000“. Similarly some firms (Anite) have already demonstrated LTE-Advanced technology that offers peak data rates of around 3Gbps. But this does beg the question, when will the big mobile phone operators launch true 4G (LTE-Advanced) in the UK? 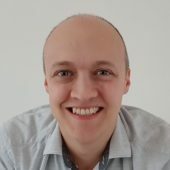 It’s important to stress that LTE-A, despite being around for a few years in specification form, has only very recently been developed and scaled down enough to fit into both small cell solutions and to act as modems in modern Smartphones and Tablet computers. Similarly early LTE-A kit is usually only capable of LTE Category 4 speeds (i.e. around 150Mbps). On the other hand consumers should not be expecting speeds of 150Mbps or more from LTE-A, at least not for a few more years. Capacity has to be shared between many end-users and mobile data is a surprisingly expensive business, which means that mobile will still be playing catch-up with fixed line broadband ISPs for awhile yet (except in some locations where fixed line is worse than mobile). I live in an area where I get 2.5Mbps over my DSL line. EE put 4G signal in my area, but it’s very weak, so I only get 2.5Mbps on that using the dongle I tested. Three also recently upgraded my area to there superfast 3G (DC-HSDPA), but again I typically only get 2.5Mbps in normal hours. Why can’t some company, somewhere, in some form, give me a break and offer fast internet ? All these opportunities keep cropping up, it’s just sods law I get the same speed off all of them. The two most common reasons for poor 3G performance (even though, actually, 2.5Meg is probably in the realms of “average” for 3G) are signal strength and contention. So it works well where we are (9 to 12 Meg down) with a signal strength of -71db (which is borderline very good) because of the roof antenna (signal strength) and the rural nature of the area (low contention). You can’t do much about the contention but you may be able to improve the signal strength. If that’s the main issue and it’s not badly contended then you might see real improvements, but unless you drive to where the cell is and try it from there to see if it speeds up, you won’t know until you try. You could have a look at the ‘getting the best from 3g’ thread in the MBB forum on this site for how to measure and improve signal strength.